Birmingham DUI Defense Lawyer | Daniel J. Larin, P.C. Why Daniel J. Larin, P.C.? Daniel J. Larin, P.C. Fights to Protect Your Driving Privileges! If you have been arrested or charged with drunk driving, your choice in legal representation will matter. Prosecutors do not treat DUI-related offenses lightly and will often pursue some of the harshest penalties under the law. Even first-time offenders who have no prior record could be facing potential jail time, extensive fees and fines, and a permanent criminal record. In the state of Michigan, you could only have up to 14 days following a DUI arrest to request an Administrative Hearing to prevent license suspension. It will be imperative that you speak with a knowledgeable and qualified legal professional to determine your rights and options at this time. Do not wait a moment longer – contact Daniel J. Larin, P.C. today! At Daniel J. Larin, P.C., our Birmingham DUI defense attorney has helped defend hundreds of individuals throughout the state of Michigan. We understand what is at stake in DUI cases and work aggressively to pursue the results you need. As one of Michigan’s most prolific DUI defense lawyers, Daniel Larin knows how to successfully handle all types of DUI and driver’s license restoration cases. Call our Birmingham DUI defense attorney or request a FREE one-hour consultation. We can be reached directly at (248) 237-6701. Remember that you have the right to remain silent and you should ask to speak with a defense lawyer. Assert your Fifth Amendment right by respectfully declining to answer any questions without your attorney present. The booking process could involve taking a photograph (mug shot), fingerprints, appearing before a judge, and setting bail. Additionally, you will have up to 14 days to request a hearing to prevent license suspension. Even if you think the evidence against you is stacked, do not think you will be convicted of a crime! Your lawyer should investigate thoroughly and help determine how to reduce, acquit, or completely dismiss your charges. Working with an attorney who has years of experience and proven results with the issues pertaining to your case could make a huge difference. As a former prosecutor, Daniel Larin can create a solid defense strategy for you. Arrested for DUI? Call Daniel J. Larin, P.C. for a Free Consultation! We offer a free one-hour consultation and remain available to provide counsel or answer your questions 24 hours a day, 7 days a week. Call Daniel directly at (248) 237-6701 or fill out the following form to get started! He will do everything possible to ensure that you get the best possible outcome for your case! You will not find a more honest and knowledgeable lawyer who goes above and beyond to get his clients the best result possible! Optimistic and always willing to answer client questions. Handled my son's appeal to have his drivers license restored. Wrote the Book on Drunk Driving! Daniel J. Larin is known as one of Michigan's leading DUI attorneys. With nearly 20 years of legal and trial experience on both sides of the courtroom, he has demonstrated his ability to handle even the most complex cases with skill and proficiency. Due to his unmatched and unrivaled record of success for drunk driving cases and drivers license restoration issues, he has been trusted by hundreds of clients throughout Birmingham and other surrounding areas in Michigan. Mr. Larin not only holds a respectable reputation with his clients, however. 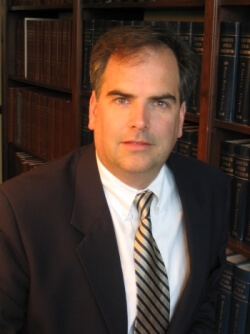 He is an editor and author of Michigan Drunk Driving Law and Practice. His contributions include, Discovery Defenses and Pretrial Motions, Breath and Blood Testing, The License, and License Appeals. He is also a contributor on four other books related to drunk driving and criminal traffic defense.